When Hannah starts at a brand new school, all the other girls are already in firm friendship groups, and she feels left out and lonely. Mum and Dad know that a puppy would be a great pal for Hannah, so they take her to Battersea Dogs and Cats Home. 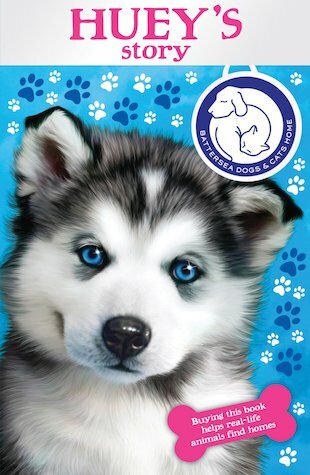 As soon as she spots Huey the husky, with his striking ice-blue eyes and cheerful character, Hannah knows that he’ll be the perfect companion. With Huey around, Hannah soon forgets about her tough time at school. But can gorgeous Huey charm her classmates so that everyone can be friends? Have you read all the books in the Battersea Dogs and Cats Home series? i’t wasn’t the best book i do prefer the others but to me i’ wasn’t as bad as rusty’s story.